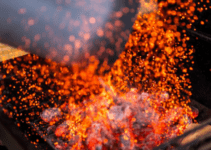 Whether you grill year-round or occasional during warm days, having the essential barbecue tools is vital to effectively and safely grill your favorite meals. Grill tools are one of those items that many people take for granted. However, once they start using quality grill tools, they quickly realize what they have been missing. Having used cheap grill tools for many years, we grew tired of having tools rust, melt, not close around food, break, and the list goes on. There may be nothing more frustrating than having a tool malfunction in the middle of grilling. The best decision we made was to purchase a top-of-the-line BBQ grill tool set that has lasted us for years. 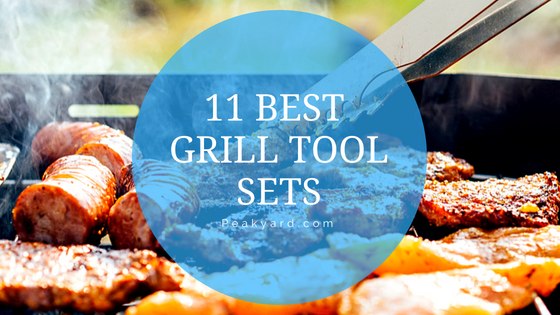 We have put together the below list of the best grill tool sets. Many of you are looking to upgrade your BBQ tool arsenal, are buying a new set, or are looking to buy a gift. We believe that we provided a nice selection of the top grill tool sets to meet various needs. We sincerely hope you find one that you will be happy with for many years! This set provides all the essential tools that most home cooks will need to successfully operate their grill. It comes with a 100%, no questions asked, money-back guarantee, which speaks to the quality of this product. We especially like the aluminum carrying case. There is something cool about being able to flip open a case along side your grill to select your desired tool. A nice feature of this set is that it includes a knife. A knife is not always found in grill tool sets, but many people find it nice to have one dedicate for grilling. This set comes with the three primary grill tools that will handle countless meals on the BBQ. The tools are built to last being made out of stainless steel. Cuisinart had style in mind when thinking of the design with the appealing color around the rubberized plastic grips. The above tools are blue, but you can also purchase black, navy, orange, red, and green. Click the “more photos” link above to see all colors available. Note that prices may vary based on the color. A nice bonus provided with this tool set is the grill glove, which is designed to keep your hand safe around the grill heat. Overall, this is not a huge tool set, but the tools are stylish and durable as is expected with Cuisinart products. Admittedly, this BBQ tool set is pricey for only three tools. However, if you you look at the near 400 reviews on Amazon, you will find numerous buyers praising these tools for their quality. These heavy duty grill tools are made from a super thick stainless steel with durable rubber handles for your comfort. The manufacturer offers an amazing lifetime money back guarantee, which is a sign of confidence in a company’s product. While their superior quality is important, these tools also are designed with class. Here is another high-quality, stainless steel BBQ tool set you should considered for upgrading your existing tools. If you are new to grilling, these are an affordable, but excellent heavy-duty option for your first tools that will likely last you many years. These tools are dishwasher safe so you don’t have to worry spending extra time hand washing. They come with a lifetime guarantee. If you are dissatisfied with your tools at any time, contact the manufacturer to correct the situation. The one feature we highly appreciate on these tools is their long plastic grips. The grips give the user ample room to comfortably use the tools at a variety of hand positions. 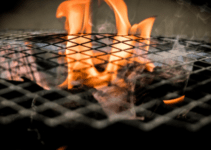 Weber is likely the most recognized and respected name in grilling. 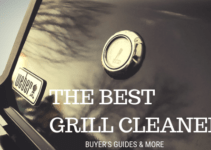 They are known for making superior grills that outlast their competitors. The same Weber quality that is found in their grills can be found in this tool set. These elegantly designed stainless steel tools are dishwasher safe for ease clean up. We particularly like the attention to detail that Weber put into the design of these tools. Just by glancing at these tools you realize that they are far from anything cheap. They are crafted with the needs of the griller in mind. We love the long heat-resistant wood handles on these tools, which differ from your traditional rubber handles. The set comes with an apron to wear while grilling. The apron has storage pockets so you have easy access to your tools while operating the grill. The apron rolls up and snaps close with the tools inside for carrying or storage. The small little salt and pepper shakers are a nice little bonus and convenient to have adjacent to your grill. The tools are advertised as coming with a a gift box and would make a great gift for any occasion including Christmas, birthday, and Father’s Day. This the best grill tool set if you are looking for “it all” in terms of tools. The set should please even the most seasoned grillers. The tools are made with a high-quality (dishwasher-safe) stainless steel which makes the tools rust-free. We like the attention to detail put into designing these tools. For example, the spatula has a serrated edge on one side and a large toothed edge on the other, which both come in handy for slicing or maneuvering food. The spatula also includes a cool bottle opener to easily pop open beer or other beverages around the grill. Skewers and corn holders are often overlook when considering tool sets, but many people find them very useful along the way. It is nice that this tool set includes the holders so you don’t have to potentially buy them later. The set comes with a cool aluminum case for carrying and storage. Keep in mind that this product is similar to the Kacebela set shown above so you should consider comparing the two before purchasing. You do not get a ton of tools with this set, but the tools you do get are built to last. These are made with a durable stainless steel that will not rust. If you happen to drop a tool, you don’t have to worry about a handle falling off or other damage. We especially like the canvas bag that houses the tools. The bag makes these tools super easy to store or take along camping, tailgating, etc. We particularly like the spatula which features a bottle opener and nicely serrated edges. The Kangora grill tool set is another solid choice if you are looking for a set of basic tools for grilling. The tools feature very long plastic grips and a cool orange accent tones. If you purchase this set, you are getting a superior product made from heavy duty stainless steel. The manufacturer provides a lifetime warranty to ensure you are happy with your purchase. The beautiful rosewood handles uniquely sets these grill tools apart from the rest. Outside of their elegant appearance, these tools are made from 20% thicker stainless steel than most competitors, per the manufacturer. The set comes with an apron that can be rolled up into a compact carrying case. This set includes a high-quality grill brush for cleaning those often pesky grill grates. If you are new to grilling, one of these type of brushes is necessary to maintain a clean grill and appetizing food. The manufacturer indicates that the tools are stainless steel and 20% thicker than typical BBQ sets. You are given a lifetime satisfaction guarantee when you buy this set so you have the potential ability to return them if you are unsatisfied. An awesome detail of these tools is the flame on the spatula with a handy bottle opener below the flame. Additionally, the tools are conveniently dishwasher safe. What size grill set do I need? It depends on the type of grilling you do. If you are only occasionally grilling hamburgers, hot dogs and potentially steaks, you can get away with a basic grill tool set. You can always individually add tools as needed, but it is typically cheaper to buy a set with everything you need right off the bat. Why not just use regular kitchen utensils for grilling? Grill tools are manufactured with long handles to keep your hands away from the heat. The tools are designed to withstand extremely high temperatures. You will be much safer using grill tools. What should I look for when picking a grill tool set? Look for stainless steel tools. Your tools will likely be exposed to the elements at some point. A quality stainless steel product will not rust. Once you pick the best grill tool set for you in terms of size, check out the reviews of people who have actually used the product. Reviews, especially when there are a lot of them, can provide excellent information on things like quality, customer support, product problems (if any), and more. Carefully look over the fine details of the tools to be sure they have the features you are looking for. Do grill tools make a good gift? Generally, yes these tools are an excellent gift for anyone who is into grilling. Even if a person has been grilling for years, a high-quality grill tool set can often be a nice gift to upgrade an existing set. Grill tool sets are often given as gifts for Christmas, birthdays, and Father’s Day to name a few occasions. Can I leave my grill tools outside? You can leave your tools outside if they are made from a material that is designed to withstand the weather such as a quality stainless steel. However, we advised to bring your tools inside, particularly if you are not going to use them for some time (i.e. winter time). How Far Should a Grill Be from a House?